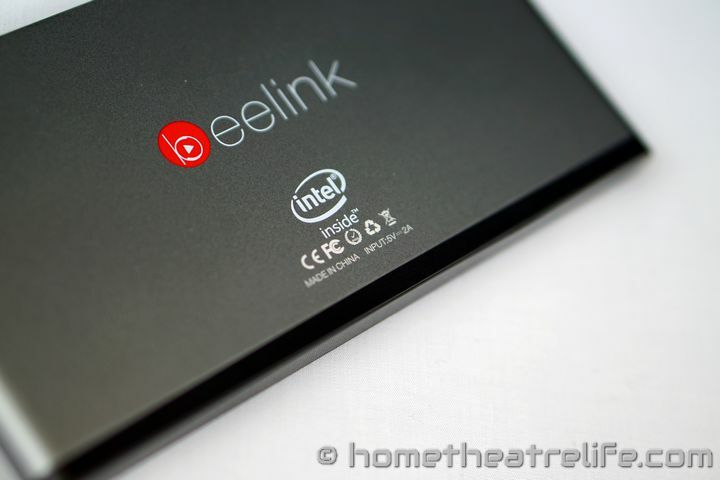 The Beelink Pocket P1 is tiny Windows PC from Beelink. Armed with an Intel Z3735F SoC, 2GB RAM and 32GB of onboard storage, the Beelink Pocket P1 shares many specs with devices such as the excellent MINIX NEO Z64. However, that’s to its tiny size, its perfectly portable. Thanks to GearBest for providing me a sample to review. Click here to view the latest price. 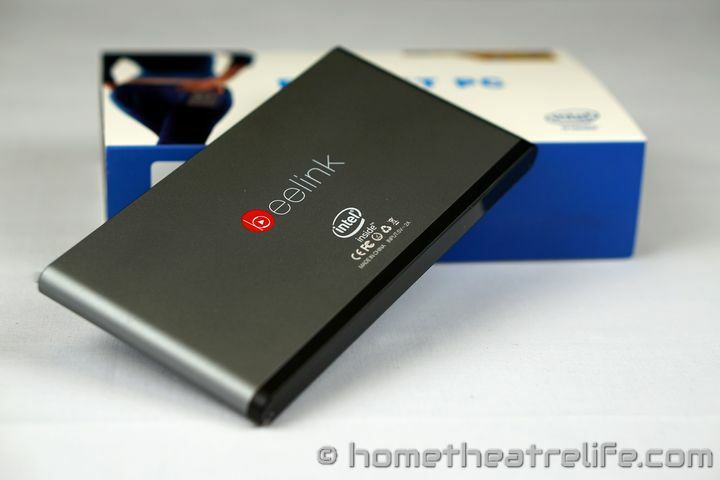 The Beelink Pocket P1 is a pocketable Windows mini PC powered by a quadcore Intel processor. Its low power requirements, fanless design and small form factor make it an ideal HTPC or desktop. 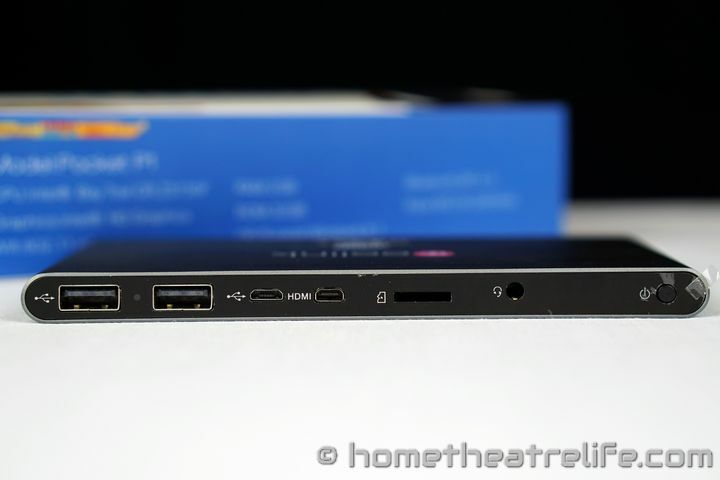 It’s impressive just how small and thin the Beelink Pocket P1 actually is. It’s definitely pocketable at just 15.23×8.3cm and an impressive 1.14 cm thick. Build quality feels exceptional. An all metal case and hefty weight makes the device feel premium and sturdy enough that it could transported safely. The device uses an attractive charcoal and black color scheme. 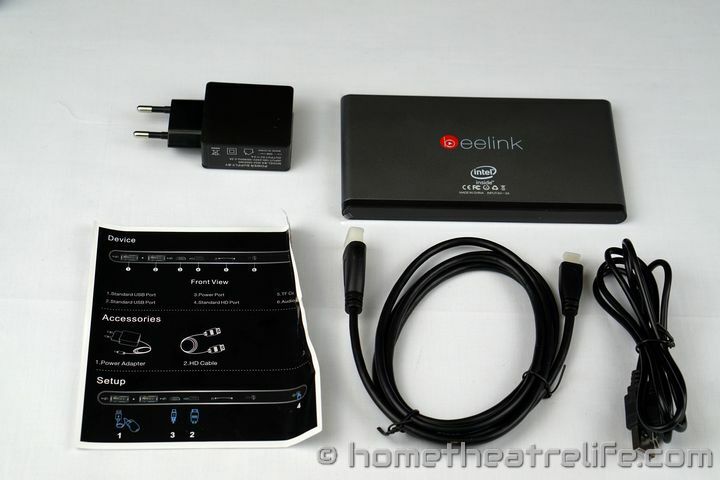 Most of the device is blank, except for the Beelink logo on the top and the ports at the back. Moving from left to right, we have 2 full size USB, micro USB for power, Micro HDMI, 3.5mm audio and the power button. Holding down the Power button for several seconds turns the device on. Boot times are fast, taking 14 seconds to boot into Windows from a cold start. Resuming from standby is effectively instant. As with other devices on the Intel Z3735F, Windows was smooth and I didn’t see any lag during use. The device runs Windows 8.1 with Bing and comes activated. Gaming performance was tested using Asphalt 8 and Jetpack Joyride. Jetpack Joyride was nice and smooth at all times. Asphalt 8 was playable but the framerate was sub-30 FPS. However, Gameloft’s recent update did seem to negatively impact Asphalt 8 performance on a number of my devices so keep that in mind. Gaming performance is shown in the above video. Some mini PCs overheat due to their tiny, fanless designs so I thought I’d test out thermal performance. In a brief test, I ran Prime95‘s Small FFT test for 20 minutes. Temperatures didn’t exceed 50°c and there was no thermal throttling according to HWiNFO, so thermal performance has been very impressive so far. The Beelink Pocket P1 seems like an impressive mini PC so far. Build quality feels excellent, performance was good and SoC temperatures remaining low during stress testing.